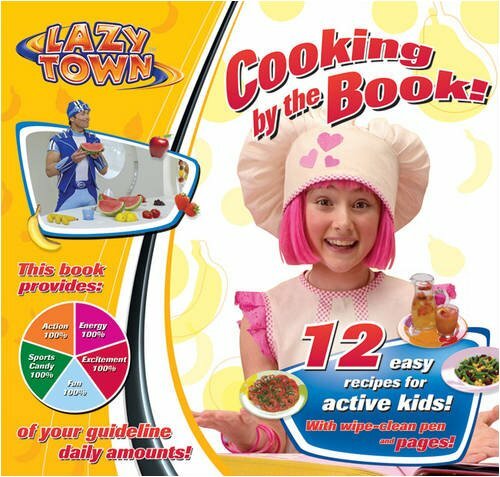 This is a 14-pages colourful, energetic recipe book full of tasty treats from your favourite LazyTown friends. Each recipe has a Sports Candy rating, telling you how many fruits or vegetables go into making the food, and each recipe has been approved by LazyTown's own food nutritionist! 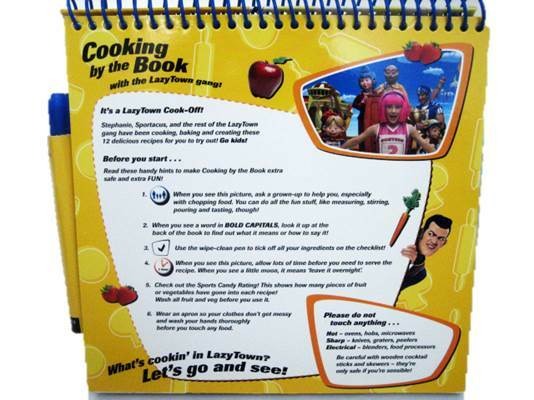 You can make 12 delicious dishes and snacks, including Sportacus' banana skateboards, Stingy's Potato Piggy Banks and Stephanie's Super Smoothie!It comes with wipe-clean pages and pen to mark off your ingredients. 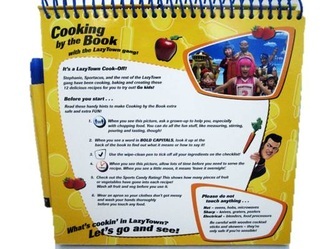 The spiral-bound format makes it easy to find your favourite recipe!